John Tinney has been practicing law since 1974. He is currently the City Attorney of Roanoke and the County Attorney of Randolph County. 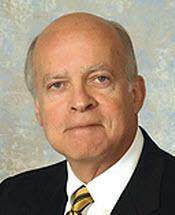 He holds leadership positions in organizations such as the Alabama Trial Lawyers Association. He has been recognized by other attorneys and judges as a Super Lawyer and included in The Top 100 Trial Lawyers in Alabama, in addition to numerous other honors and accolades from his peers in the legal community.